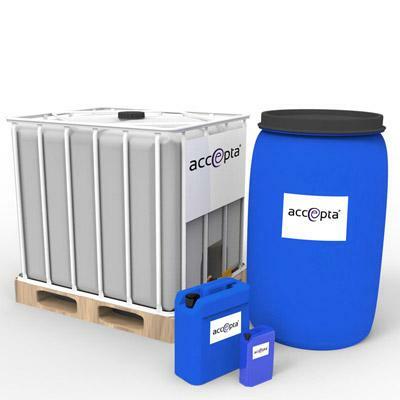 Accepta 2876 is a high-performance zinc phosphonate based cooling water scale and corrosion inhibitor scientifically formulated for the treatment and protection of open re-circulating water systems operating under corrosive water conditions. Developed as a multi-functional blend of scale and corrosion inhibitors, Accepta 2876 is designed for systems operating under corrosive water conditions, low to medium hardness and/or alkalinity. Accepta 2876 is proven to provide protection over a wide range of operating parameters and is applicable for 50 – 800 calcium and 100 – 350 M-alkalinity. The typical dosage for Accepta 2876 is 135 ppm. The dosage is dependent on the alkalinity, calcium hardness, pH and temperature of the re-circulating water. For further technical assistance concerning Accepta 2876 please contact Accepta.